Do you want to be the next Jeremy Paxman? Do you have your eye on Christiane Amanpour’s job? Does journalism excite you? Then have we got news for you! Enter the Future News Competition for a chance to win a fully funded place on an international conference for aspiring young journalists, taking place right here in the UK, in the city of Glasgow. All you have to do is show us your writing skills…..
build up your writing portfolio to support your CV. Your fully-funded place includes accommodation and subsistence. Future News 2014 takes place in Glasgow’s amazing Mitchell Library from 14-16 April 2014. This means you are eligible to enter the competition. All entrants need to be able to commit to a 3 day attendance at the full conference and be able to travel to Glasgow. Final competition entries should be submitted by Monday 10 February 2014, no later than 5pm. Only one submission per applicant will be accepted and late entries will not be considered by judges. Future News is aimed at would-be journalists who have not yet entered higher or further education. All successful entrants will be informed be email by no later than 21 February 2014. 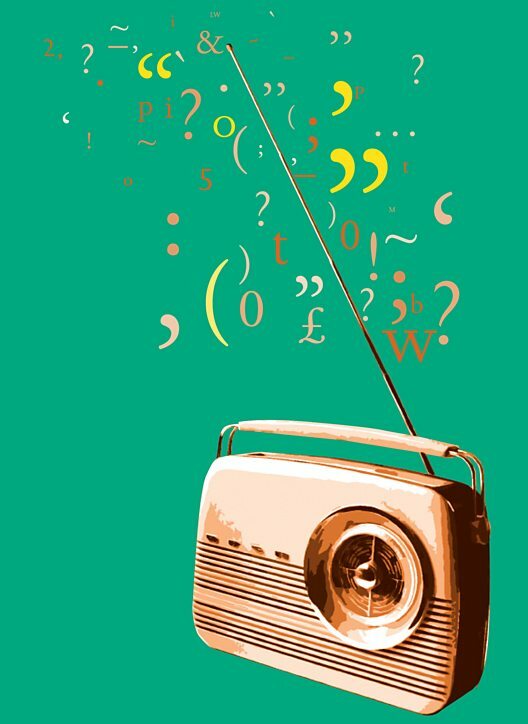 The BBC World Service International Radio Playwriting Competition in partnership with the British Council. Now in its 24th year, the competition has some exciting additions! Prize: £2000 for the overall winning playwright of the best play written with English as a first language and a trip to London to see the play being recorded for broardcast on the BBC World Service and to attend a prize-giving evening. Prize: £2000 for the overall winning playwright of the best play written with English as a second language and a trip to London to see the play being recorded for broardcast on the BBC World Service and to attend a prize-giving evening. Do take the time to read the rules and tips below before you send your script. Full-time fellows will receive a stipend of $80,000 or $100,000, depending on work experience, seniority, and current income. Stipends will be prorated for part-time fellows. The stipend does not necessarily equal the applicant’s current salary. In certain cases, fellows will receive additional financial support to enable them to meet the residency expectation. In addition to the stipend, fellows will receive a project budget. That budget may include expenses such as travel (including airfare and hotel), visa costs, part-time research assistance, conference fees and health insurance. Interested applicants should first download and carefully review the fellowship guidelines HERE and program Frequently Asked Questions HERE. The Open Society Fellowship accepts proposals from anywhere in the world. Applicants should possess a deep understanding of their chosen subject and a track record of professional accomplishment. Past and current fellows have included journalists, activists, academics, and practitioners in a variety of fields. Successful applicants will be eager to exploit the many resources offered by the Open Society Foundations and be prepared to engage constructively with our global network. Ideal fellows are specialists who can see beyond the parochialisms of their field and possess the tenacity to complete a project of exceptional merit. Proficiency in spoken English is required. The fellowship DOES NOT fund enrollment for degree or non-degree study at academic institutions, including dissertation research. This is a fellowship for individuals only; proposals from two or more applicants will not be accepted. Applicants who are uncertain whether their topic fits within the foundations’ focus areas are invited to submit a brief letter of inquiry, accompanied by a CV, before proceeding with the online application process. That letter of inquiry should be addressed to OSFellows@opensocietyfoundations.org. Proposals received by February 3, 2014, will be evaluated by June 1, 2014. The following deadline will be August 4, 2014, for evaluation later that year. Applicants may submit a project proposal or other materials in a language other than English, as long as they also submit an English translation. Certified translations are strongly recommended. Once the initial information has been entered, applicants receive login details and an ID number that allows them to make additions and revisions to the form until materials are submitted. The ID number should be quoted in any correspondence. All interested applicants should complete the online application form HERE at and submit supporting materials for consideration. Please read the Tips for a Robust Proposal before applying. Applicants without Internet access may use the form HERE. Step 1: A language specialist will read and score your essay according to a scoring rubric. After February 21 deadline all essays will be scored and the best essays will be passed to the next stage of the competition. Entries must be uploaded to the website ManyLanguagesOneWorld.ELS.edu by February 21, 2014. An institutional representative will have to attest that the entrant is a student of the institution, in good standing, and that the essay is in an official language of the United Nations that is not the entrant’s first language or language of instruction in his or her primary or secondary education and is the original, unaided work of the entrant. over 250 million girls and women across 145 countries. From today, the Girl Guiding and Girl Scouting leadership experience will be freely available online to anyone over the age of 16.
i-Lead is our unique, experiential and interactive leadership course, provided through our award winning e-learning platform GLOW (Global learning online through WAGGGS). The course takes participants through five progressively more challenging modules. Each module contains around seven 20 minute sessions which are self-directed and interactive and which can be done anytime, anywhere. Module 1, i-Discover, explores topics such as cross-cultural communication, emotional intelligence, leadership theory and motivation. Participants are invited to join discussion groups with other students on the course from around the world. Participants don’t have to be Girl Guides or Girl Scouts to take the course and they can sign up at any time. i-Lead is part of The UPS Foundation and WAGGGS’ commitment to provide leadership opportunities to all. In a recent WAGGGS study among 600 young people worldwide, 70 per cent of respondents thought girls and women face more difficulties than boys and men in reaching positions of leadership where they live. 46 per cent believed that girls and young women are not rewarded in their study and work as equally as boys and young men in similar positions. At the same time, 85 per cent felt that Girl Guiding and Girl Scouting was where they had the most opportunities to learn and demonstrate leadership skills. WAGGGS wants to bring these leadership opportunities to more girls and young women using the latest technologies available. i-Lead offers you free, flexible and open access to a unique and international leadership course available online. How do you qualify to join the programme? What you can expect at the end of the course? The Summer Institute on Sexuality, Culture and Society at the Graduate School of Social Sciences , University of Amsterdam, is an intensive four-week summer course, which focuses on the study of sexuality across cultures and is taught by an international faculty team. The Summer Institute on Sexuality, Culture and Society will provide students with a unique opportunity to explore the social and cultural dimensions of human sexuality, and to gain knowledge of cutting-edge research on sexuality as conceptualized and practised globally, pertaining to both theory and methodology. Each year, the SI is comprised of a, multidisciplinary international faculty and student body from a range of social and cultural backgrounds, offering a rewarding and challenging learning experience. Students engage with faculty and guest lecturers via a specialized program of course modules (twice daily), weekly get-togethers, and informal conversations during daily group lunches. Students benefit from an exceptional networking opportunity through the sharing of experiences, works in progress, research plans and diverse perspectives. As the host city for the SI, Amsterdam is an ideal location. The open atmosphere and small scale of the city offers a refreshing setting for engagement and discussion of sexuality, culture and society. The Summer Institute on Sexuality, Culture and Society was founded in 1995. The idea for the Summer Institute was sparked by a collaboration between Dutch and American scholars, during the conference Culture, Sexual Behavior, and AIDS in 1992 (see: ten Brummelhuis and Herdt, Culture and Sexual Risk, New York: Gordon & Breach 1995). In 1995, the programme was offered for the first time through a cooperative effort between Han ten Brummelhuis of the Universiteit van Amsterdam, Bill Leap of the American University in Washington and Gilbert Herdt from the University of Chicago. In 1997, the Summer Institute became part of the International School for Humanities and Social Sciences, Universiteit van Amsterdam. programme. Professionals are also welcome. This course offers ways to address and better understand the basic concepts underlying competitiveness and corporate social responsibility (CSR). CSR is explored from the firm and nation state perspective, allowing for a consideration of the relative responsibilities and challenges of both the private and public sectors. As a response to the recent global financial crisis, recession, and shifts in political and economic power across countries, governments and the private sector are rethinking the strategy behind their development and growth policies. The result is that countries and businesses are exploring ways to grow and sustain their level of productivity given extant resources. Improved competitiveness at the national, sub-national, and corporate level is seen as a key priority. At the same time, a growing number of countries and companies recognize the development and business benefits of socially and environmentally responsible policies and practices. Emerging evidence supports the idea that developing a long-term corporate strategy based on integrity and social values offers both business benefits to corporations and positive contributions to society. The World Bank Institute offers the “Competitiveness and Corporate Social Responsibilities” course to explore both conventional and innovative policies, strategies, and actions associated with CSR. Course material offers theory and evidence that can help policymakers and business and civil society executives, through focused and systematic corporate social responsibility interventions, to positively influence national and corporate competitiveness. Also included are the complex dilemmas facing the private and public sectors as they increasingly represent multiple interests and a host of old and new stakeholders. The objective of this learning program is to provide participants with cutting edge perspectives, frameworks, and ideas on how a country or a firm can create and sustain a competitive advantage when demonstrating corporate social responsibility. To this end,Michigan State University International Studies and Programs is inviting applications from Sub-Saharan Africa graduate students for MasterCard Foundation Scholars program 2014. 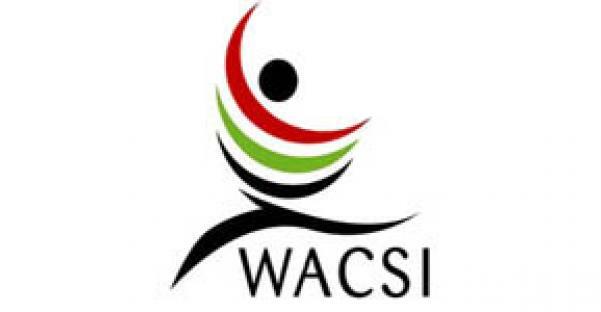 The main objective of the scholarship program is to ensure that young people are equipped with the skills and competencies needed to spur economic growth and social development in their respective countries of origin. The scholarship is open to students who have already completed a bachelor’s degree at an African university and are residents or citizens of an African country. Academically qualified, economically disadvantaged, young people in Africa who will contribute to the transformation of the continent are highly encouraged to apply for MasterCard Foundation Scholars Program. Having expressed the desire and intention to return to your home country after completing your studies – We are looking for students who are engaged with and passionate about issues affecting their communities, and who will take advantage of their education at UC Berkeley to better equip themselves with the knowledge and training to address these issues upon return. While important work can be done from abroad, the intention of this Program is to enable Scholars to return home, after forming valuable professional connections through internship and job placement.